South African motorists continue to pay the highest portion of their salaries towards petrol more than any other country in the world. 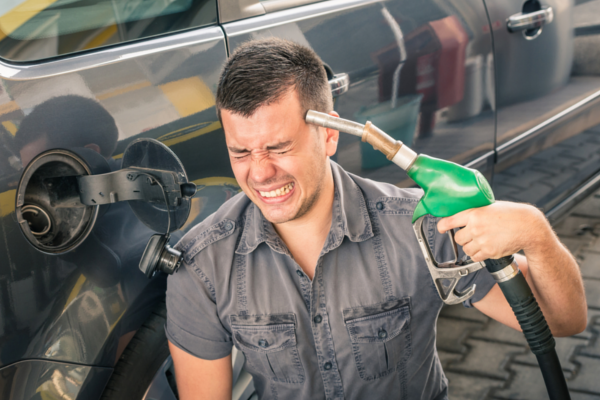 This is according to the Bloomberg Petrol Price Rankings, which notes that the average South African motorist uses 216.7 litres of petrol a year, eating up 3.71% of the average salary. The ranking looks at the per-litre fuel prices in 61 countries across the globe, and also looks at the per-litre cost of petrol as a percentage of the average daily and annual income. In the first measure, South Africa has the 16th cheapest petrol in the world, on a per litre basis at R13.02 (Q2 average). Despite the apparent ‘cheapness’ of our petrol (in September the price is even lower at R12.20 per litre) South Africans rank poorly in terms of affordability – with the 6th highest average daily spend (6.25% of daily income) and highest annual spend (3.71% of annual income) going to petrol. While this is still bad news for South African motorists, the situation has improved slightly from 2015. Last year, 6.92% of daily income went to fuel costs, while 4.11% of annual income went into petrol. It’s an even bigger improvement from 2014. According to the Bloomberg rankings, Hong Kong has overtaken Norway as having the most expensive petrol in the world, where a litre of fuel costs R29.08. Venezuela still has the cheapest petrol at R0.09 a litre, below Kuwait and Saudi Arabia, where a litre of petrol costs R3.58 and R3.71 a litre, respectively. Venezuela’s super low fuel price is due the resource being considered a national birthright. However, the price was hiked by 6,000% in 2016 to its current levels of 9 cents. As with 2015’s ranking, South Africa is one of the costliest countries in the world, though it is down from 5th worst in 2015 to 6th worst in 2016. The average daily income in South Africa is R201.52, according to Bloomberg. South Africa is by far the worst off here, spending the biggest annual portion on fuel price. The ranking is relatively unchanged, with Mexico (3.34% at R11.31 per litre) moving past Greece to be ranked a distant second to SA. As with all other categories, Venzuela ranks lowest, thanks to its low petrol price. Petrol or diesel – which car is best?